As previously documented on our “Voyager goes large” feature, our Scania Irizar motorhome conversion was once finished in bright red paintwork. Historic photographs show the red coach displaying an array of “Scania” and “Irizar” badges. However, there are no badges on the coach at the present time. We want to turn the clock back and have Little Blue looking like day one! The “Scania” and “Irizar” badges are absent – for now! We have therefore set about the task of replacing these. A look on line revealed that the prices for these badges was, well let’s say “interesting” to say the least, so we looked for other options. A visit to a local bus and coach breakers, Trevor Wigley and Son Ltd. of Barnsley was the answer to our cosmetic makeover requirements. These headlights will replace our existing set. We had initially called into Wigleys to remove a set of headlights from a suitable donor vehicle. We were fortunate that there are a few Irizars at the end of their life and so we were able to procure these parts. Additionally, we were amazed to find a couple of Scania badges. The badge (above) is in very good condition. 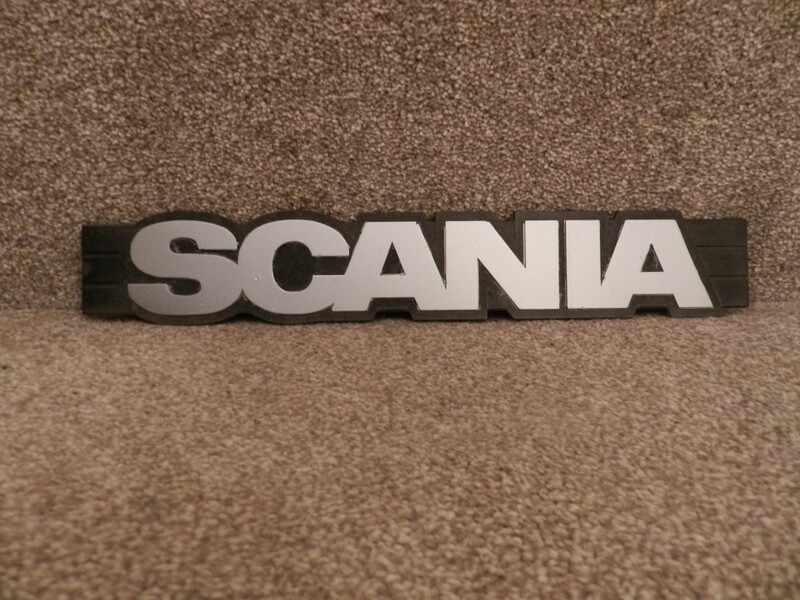 This one will fit on the front of the coach, just above the “Scania smile”. We will use a contact adhesive to fit this badge. Scania Irizar motorhome conversion – badge restoration! 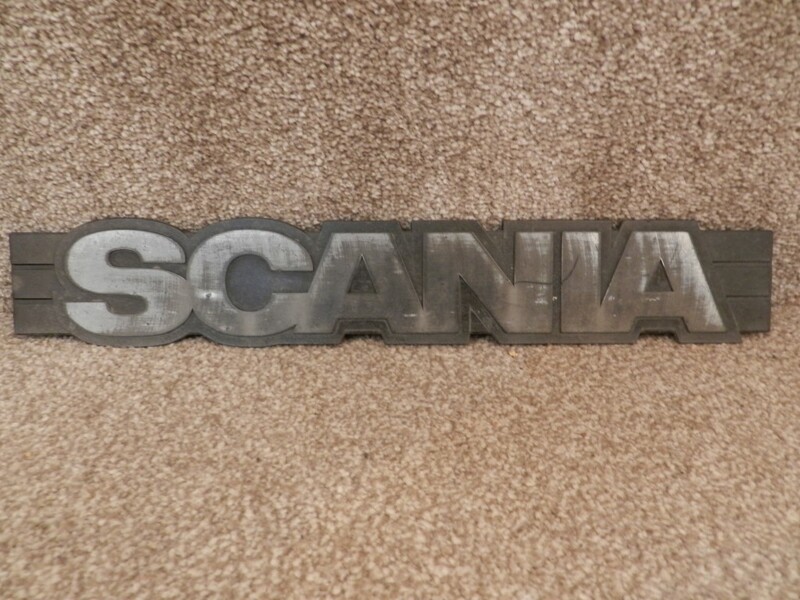 Unfortunately, the other Scania badge needs some tender loving care to restore it to its once former glory. 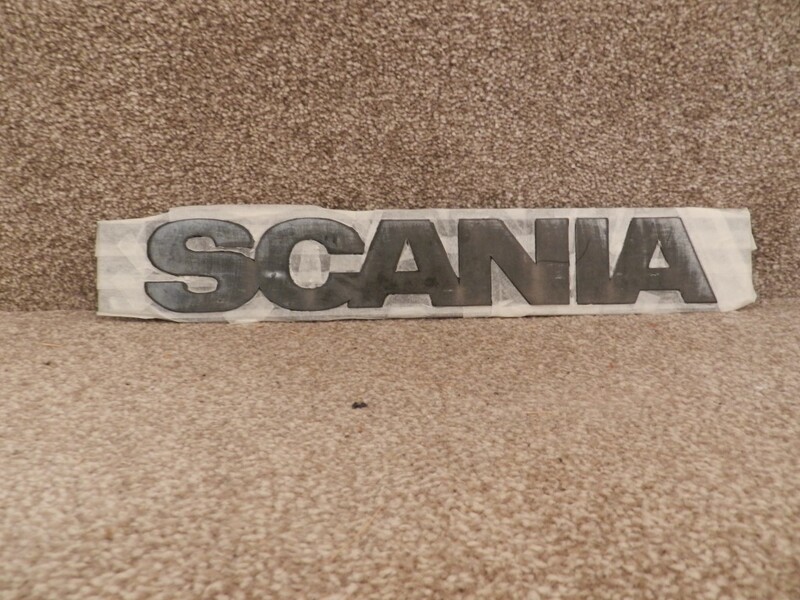 First job is to mask the badge using masking tape and then carefully cut around the “Scania” letters to reveal the previously-silver letters. Final task – a few squirts with an automotive silver spray paint and bingo – job done! This badge will fit on the engine compartment cover. We also have a new “Irizar” badge for the front. Awhile back you posted some amazing info on how to import a new motorhome from Germany. Well we followed in your footsteps so to speak and just purchased a new Carthago S-plus! We are trying to fill out the V55/4 and wondered if you still had a copy of your submission you could share with us as a “template” – (with all sensitive VIN and address info redacted of course)? The Carthago dealer here in Southampton is unwilling to help us as we did not purchase from them. Also, did you guys get insurance in place before the VCA and DVLA submissions? Our export plate insurance is about to expire and we are getting worried. I can be contacted at winehiker at hot mail. Hi – we don’t have copies of the paperwork, sorry. Re the insurance, we were able to insure with a UK provider on VIN number only, pending full registration.